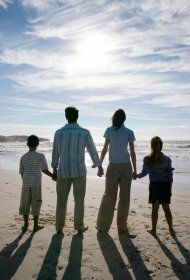 To point out the value of married and family life through positive examples that have had a long-time witness to good family life and that may be a paragon worth following by young generations. To push through the family values based on marriage of man and woman as the hope and future of Europe. To find partners in the capital cities of Europe and in cooperation with them organise manifestation called Traditional Family - hope and future of Europe. Europe has been shaken by the crisis of its identity and perspective vision. This has also been proved by the fact that the nations of Europe are dying out. There are more people who die than children born. Within several decades some nations will become national minorities in the territory of their own state. Europe is heading towards demographic suicide. It may only be overturned when its current catastrophic perspective is realized and there is the will to change it. Versatile support for the family founded on the marriage of man and woman, which is the natural place for acceptance and upbringing of children, is the hope for the perspective future of Europe. Children are the hope and future. If Europe does not realize and change its attitude towards the family and children, it is condemned to insignificancy from the world’s point of view. Everybody longs for true friendship. Honesty and faithfulness are the core preconditions of such a friendship. The contractual bond between man and woman is the most intimate friendship based on these conditions. As humans we are fragile and that is why human relationships are the same. Faithfulness not only during the good days but especially in difficult times is an ornament of a person‘s character. Life-long faithfulness is a means of fulfillment of desire for true friendship. Nothing valuable may be achieved without exertion. Building and deepening relationships within families also costs something. A person can fully find themselves only in truthful self-giving to others. Family happiness can be born only in a good-hearted environment where the selflessness for others is a vitalizing moisture for both the couple and the whole family. What salt is for food, the mutual selflessness is for life-long developing of married life. Life-long marital relationship between man and woman emerges from reciprocal trust and frank decision to hold on together in good or bad. Marriage is a contractual responsibility of man and woman. It is a public expression of honesty and the decision to hold on together, also in the times of trials and tribulations. Contractual responsiblity helps to protect reciprocal marital trust and creates a stable base for the development of a life-long relationship of love.